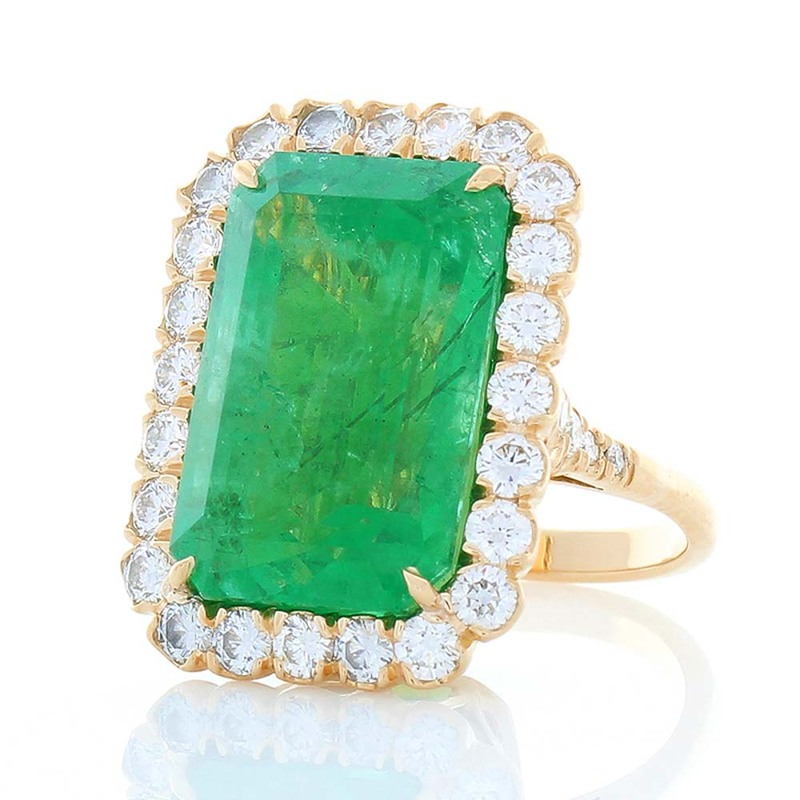 This is a 16.28 carat octagon cut grass-green emerald with subtle undertones of yellow. The gem source is Zambia. Its color is evenly distributed through the gem; its transparency is excellent. The gem measures 18.45x12.19x9.68MM. The length to width ratio maximizes coverage. A total of 32 sparkling round brilliant cut diamonds frame this center gem, creating a cluster halo totaling 1.96 carats. A slim, slightly rounded band adds comfort and style to this extravagant ring, designed in brightly polished 18 K yellow gold.